The New Year will blow in with blistering temperatures and high winds. After mild conditions the last few weeks, Manitobans will be in for a shock as the calendar flips to 2011. Saturday’s high is forecast to be -19°C, feeling like -32°C with the windchill. 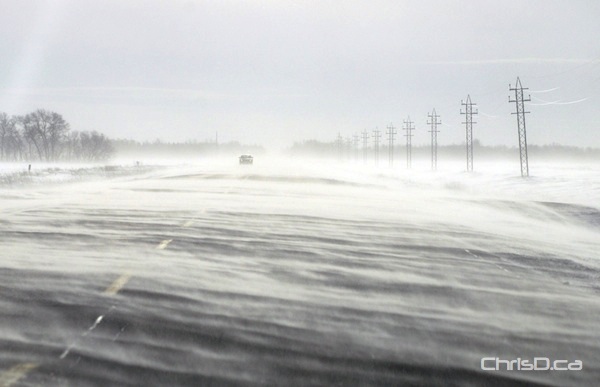 A taste of what’s to come was evident on Thursday, with strong winds creating havoc on southern Manitoba highways and reducing visibility for motorists. Luckily, not much of the white stuff will accumulate to end the year. Winnipeg nearly broke a record for precipitation in 2010 with 722 millimetres, but will fall short of the record set in 1962 with 723.6 millimetres.